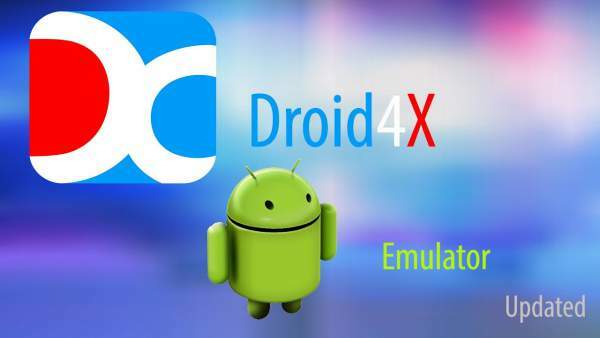 Download Droid4x Android emulator for free from this site. You will get the latest and updated version of the application (software) here. The Droid4x apk lets you use practically any app on Android. It is one of the best available Android emulators in the market as of now. You can use it forrunning as many apps as you wish, from playing video games like Clash of Clans (CoC), Subway Surfers, to applications like Kitchen Stories, Tubemate, Game Guardian, Netflix, Hotstar, etc. The Droid 4x OS is based on Android 4.2.2. Thus, it allows the user to use almost all apps published on Google Play Store and those apks which aren’t too. The Android operating system is being used by majority of the worldwide population. So, it makes sense why all users are familiar with its usage. Moreover, the Droid4x app lets the user to record video of anything and everything being played/happening on the emulator screen. Also, you will get an option to select image quality through the respective settings as you desire. However, the recorded video will get a Droid 4x watermark. Apart from it, you get to customize various things through the controls given inside the application. While running an app, the user is enabled to create personalized controls simply and intuitively. Though you got to configure the keyboard or gamepad in less than a minute, then it will adapt to any game on Android. On the whole, Droid4x is a fantastic Android emulator as it enables you to enjoy the stream of apps available for the most widely used OS in the world. The application is one of the best apps which can be used to run any Android apps on PC. It is highly compatible with all the old and even new releases. It has been fully adapted to touch screens. The user can select any output resolution and other options. It also allows you to record videos of your screen. It works smoothly with desktop machines and you don’t get to download any extra tool/software to run apps. You can directly download and/or install via Google PlayStore. We have already enjoyed playing Clash Royale and Marvels: Avengers. Droid4x is fully designed for gamers.